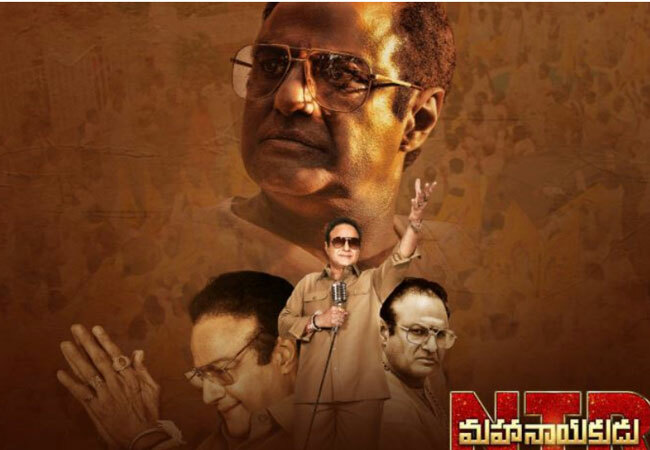 Hyderabad, Feb 22: Tollywood Latest movie NTR Mahanayakudu, which predominantly covers the..
Yatra Movie Review: A perfect Tribut..
Hyderabad, Feb 08: South Megastar Mammootty, who has given many hit Tamil, Telugu and Kann..
Telugu film Mr Majnu has finally hit the screens today. The Film Touted as a romantic come..
Hyderabad, January 25: Akkineni Akhil s third outcome Mr.Majnu is in theaters now. Savya S..
Fun and Frustration Review: Vintage ..
Hyderabad, January 12: The Typical Director s Anil Ravpudi s latest flick Fun and Frustrat..
'F2' .. Fun and Frustration twitter..
Hyderabad, January 12: After the release of two flicks NTR and Vinaya Vidheya Rama , an..
VVR.. Vinaya Videya Rama Twitter Rev..
Hyderabad, January 11: Mega Power Star Ram Charan has arrived along with his Sita(Kaira Ad..
Hyderabad, January 10: Indian Superstar Rajinikanth’s latest film Petta which has been d..
Hyderabad, January 10: Petta, the Rajinikanth starrer, directed by film-maker Karthik Subb..
Hyderabad, January 09: We all knew that Biopic on legendary and senior Tollywood actor NTR..
Hyderabad, January 09: The Much Awaited Tollywood Film NTR Biopic has finally hit the Box ..
Hyderabad, December 21: Tollywood Talented Actor Sharwanand and Sai Pallavi s love enterta..
Movie Name: Anthariksham9000kmphDirection: Sankalp ReddyScript: Sankalp Re..
Sharwanand's Padi Padi Leche Manasu ..
Hyderabad, December 21: Tollywood Talented Actor Sharwanand’s ‘Padi Padi Leche Manasu�..
Mumbai, December 21: Anand L. Rai’s Zero has released here on today and getting lukewarm..
Hyderabad, December 21: Talented Director Sankalp Reddy made a solid directorial debut wit..
Release date : December 07, 2018Smtv Rating : 2/5Starring : Sumanth , Eesh..
Hyderabad,December 09: After testing his luck with commercial movies, Tollywood young Hero.. Ever listened to the tale of the greedy man and his duck which gives golden eggs? Well, th..
Rajinikanth 2.0 Review: Mind Blowing..
Hyderabad, November 29:Release date : November 29, 2018Starring : Rajinika..
Hyderabad, November 29: Super Star Rajinikanth s latest film 2.o has been released here on.. The makers of 24 Kisses have promoted the film on a very clever note and created a decent ..
Hyderabad, Nov 16: Tollywood Mass Ma..
Pihu Movie Review: Most heart-breaki.. Starring: Myra, Prerna Sharma, voices of Rahul Bagga and Hrishita Bhatt; Director: Vin..
Thugs of Hindostan Disappoints Fans ..
Savyasaschi Telugu movie review: Uni..
Savyasachi Story: Vikram (Naga Chaitanya) has no power over his left hand, which is contro..
Veera Bhoga Vasantha Rayalu Review: ..
Release Date: October 26, 2018Cast: Nara Rohit, Sree Vishnu, Sudheer Babu, Shriya ..
Aravinda Sametha Review : A Block Bu.. Direction: Trivikram SrinivasCast: Jr NTR, Pooja Hegde, Eesha Rebba, Easwari Rao, ..